At Calm People, we feel passionate about helping people to find a healthy emotional life. We get great satisfaction from seeing the results of our courses. The changes, of course, only come about when the individual engages and does the work. However, there is no single programme that meets every person’s needs. If you attend one of our 21hour courses, and feel that by the middle of the course it is not right for you, just let us know, wind your way homeward, and we will guarantee to refund the full fee within seven days. 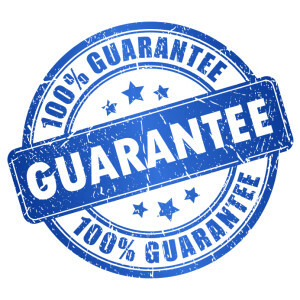 We have been committed to this guarantee since 2010 and have not as yet had a single participant choose this route out. However, we have often had reticent individuals who are more willing to attend knowing the guarantee is in place. Feel free to test it out if it really isn’t the right course for you. If you are interested in our training for your team call Julian on 01332 869211 and ask how you can build in a guarantee.